Midnight Sun originally went under the name Rainbow Band and released an album with that name too, before switching to Midnight Sun. 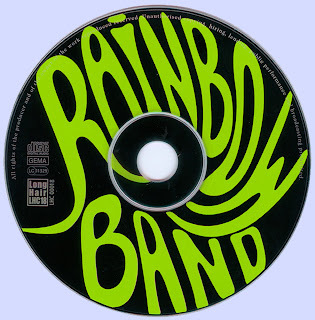 Their first LP with their new name was weirdly enough just a re-recorded version of their first record as Rainbow Band! Anyway, "Midnight Sun" is a really good album, melting jazz, blues and energetic rock into a '70s sound. It's quite obvious with such influences that the band had listened a lot to bands like Chicago and Blood, Sweat & Tears, but didn't end up sounding like them at all. "Talkin'" is a superb opener to the album, fusing the bluesy vocals of Alan Mortensen with an irresistible rhythmic theme dominated by Niels Brψnstedt's el-piano and Bent Hesselman's jazzy sax-riffs. The hard rocking and jam-oriented instrumental section turns the spotlight over to Peer Frost's razor-sharp guitar. "King of the Sun" has a pretty similar structure, but with a much lighter feel where the outstanding and tight solo-parts are what really save the track. The ballad "Nobody" is based around some eerie piano-chords, but increases the tempo during the instrumental passage where the piano veers into some classical influences too. "Where You Going to be" is in a more straightforward rock-fashion, but with a great mid-tempo groove and a jazzy sax-solo. "B.M." is a short instrumental written by bassist Bo Stief, and is mostly a showcase for his skills on acoustic bass. "Sippin' Wine" is the band from their lightest and least interesting side, with some clear influences from Blood, Sweat & Tears. The complex, intense and energetic 15-minute "Living on the Hill" is on the contrary the highlight of the record. It should also be mentioned that the band had a very good and thoroughly active drummer in Carsten Smedegaard. Guitarist Frost also surprises a bit here by turning into a classical-influenced heavy metal-styled guitar-solo in the middle of the song, followed by some even more aggressive jamming. The album closes in a far more peaceful way with Hesselman's instrumental "Rainbow Song" where he plays a beautiful theme on flute while some Mellotron turns it into the only slight symphonic moment on the record. This is definitively one of the Danish '70s rock albums you should check out. 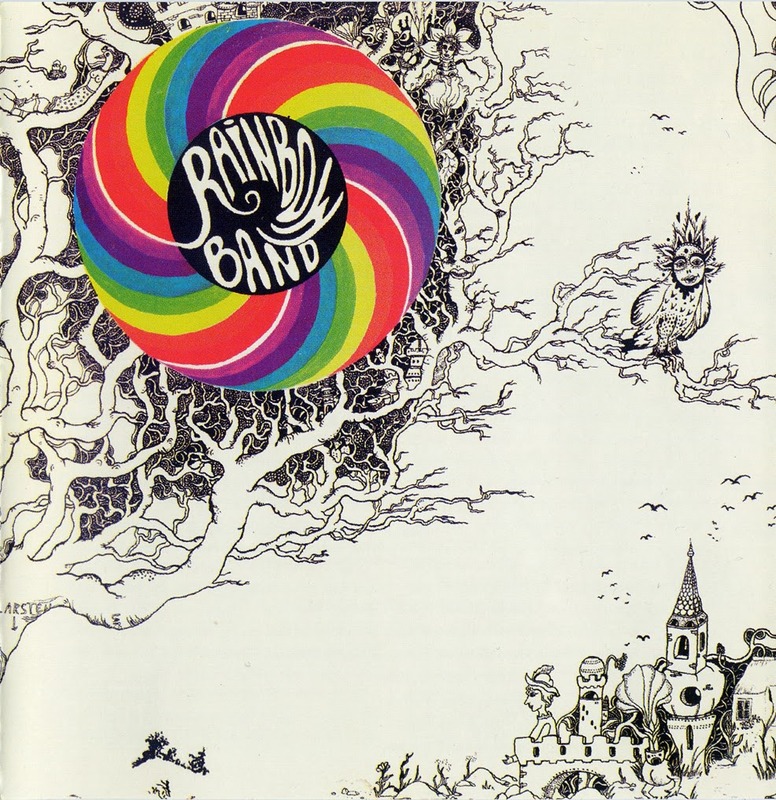 Rainbow Band is the original name of Midnight Sun, before they had to change name, for legal reasons. 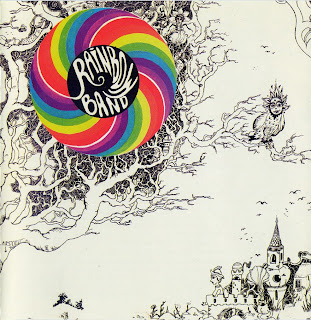 The Rainbow Band was founded in early 1970 by former members of the Maxwell (Lars Bisgaard and Bent Hesselmann ) , the Young Flowers (Peer Frost ) and the Beefeaters ( Carsten Smedegaard ) also two previously for mainly active in the jazz musician with Niels Brønstedt and Bo Stief. With this lineup,the group she recorded in the same year an album , which was released in December 1970 ( tracks 1-6 of the CD to be discussed here ) . In January 1971 left singer Bisgaard the group and was replaced by Allan Mortensen . For whatever reason, the band's album with Bisgaard then played one more time. " Where Do You Live" got a new text and became " Talking" . " Nobody" and " B.M. " - Originally a two-piece unit - were separated and with " Sippin 'Wine ' it a new piece . These recordings are released under the band name Rainbow. But then , the group signed a contract with MCA , which thus secured the worldwide distribution rights of the albums of the Danes . The called Jack Holzman , head of Elektra on the plan that had committed an American group of the same name . The Danish Rainbow Band was suggested to change their name , what then did this . From the Rainbow Band Midnight Sun was . The well-rehearsed with Mortensen pieces were then released again , this time with a pretty cover by Roger Dean (see " Midnight Sun"). Thanks for this wonderful album!! !